In January 1943 the Government requested that Housing authorities in England should prepare a program of Re-Housing to commence at the end of the War with priority being given to areas which had suffered most from war damage. The government saw the need to replace a lot of substandard housing and build more homes. They also realised that it would be necessary to erect a large number of temporary houses with a life expectancy of 10 to 15 years. This led to Brighton Council producing a report on post-war housing in December 1943. The Council realised that the quality of houses built after the war would need to be of a higher standard than those they were to replace. By May 1944 initial preparation for up to 1200 houses on the Lower Bevendean Estate had been made. The initial plan was to put 86 temporary houses on the Avenue Green, which had been used for allotments during the war. 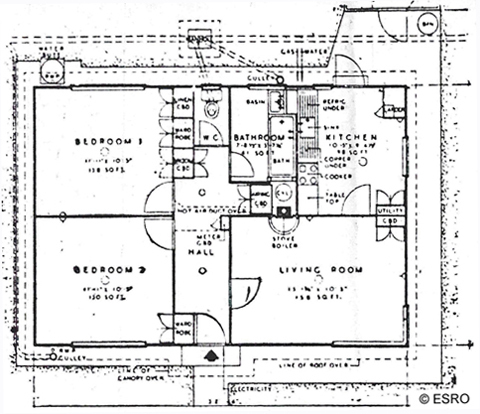 The plan below shows the layout proposed for the prefabs and the school kitchen which were build on the Avenue Green sometime after 1932. These kitchens were in use until new school kitchens were built in Loder Road. 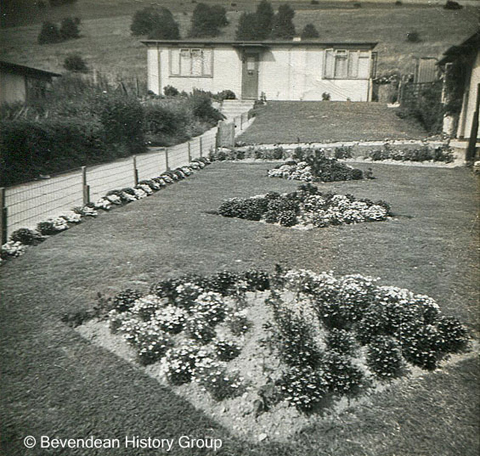 Following objections to the use of this site, which was meant to be an open space, it was decided at a Council meeting on the 12 July 1945 to site 66 temporary houses on the Lower Bevendean Estate, where Heath Hill Avenue is today. 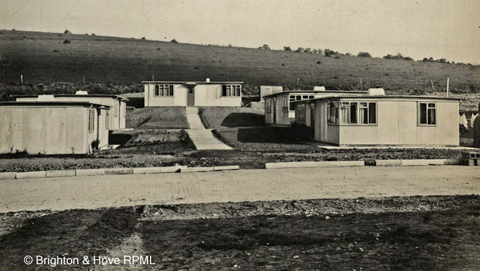 These were part of a total of 500 prefabs built in Brighton immediately after the war. Plans for Heath Hill Avenue dated 27 July 1945 Opens in new window. German Prisoners of War were used to prepare the site by digging trenches for the sewer pipes. The German prisoners were housed at the Preston Barracks in Lewes Road. 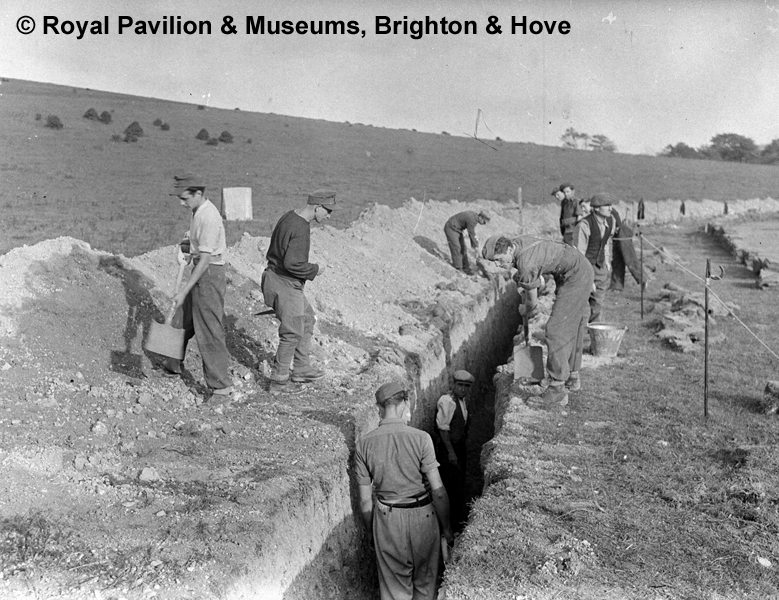 A Photograph from the Herald collection showing German prisoners filling in a sewer trench in Lower Bevendean on 13th October 1945. 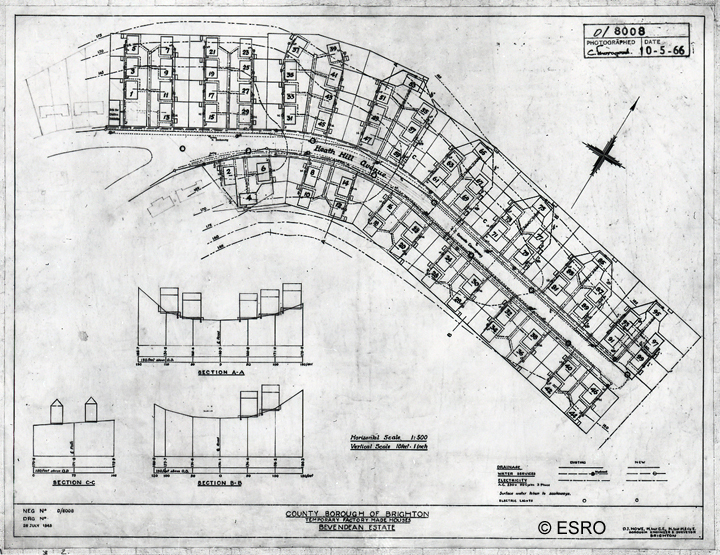 This work was in preparation for building the pre-fab houses in what is now Heath Hill Avenue. 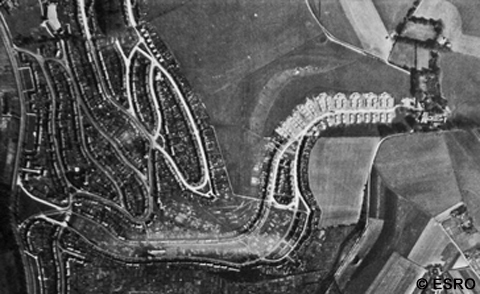 An aerial photo dated 7 October 1946 shows a road reaching almost to the farm with concrete bases in place and many of the prefabs already built. It also showed allotments on the green in the centre of The Avenue. The prefabs were built to a standard design, by a number of manufacturers using a variety of materials. The council considered 4 designs, "Arcon", "Uni-Seco", "Tarran" and the "Portal" Steel House. The Uni-Seco bungalow was chosen for Heath Hill Avenue as it had much to recommend it, including a better external appearance; and a generally more 'homely' treatment of the walls and ceilings. The houses built in Heath Hill Avenue in late 1945 and 1946 had asbestos sheet walls and an almost flat roof. No 69 Heath Hill Avenue with flower beds of red, white and blue flowers to celebrate the coronation in 1953.